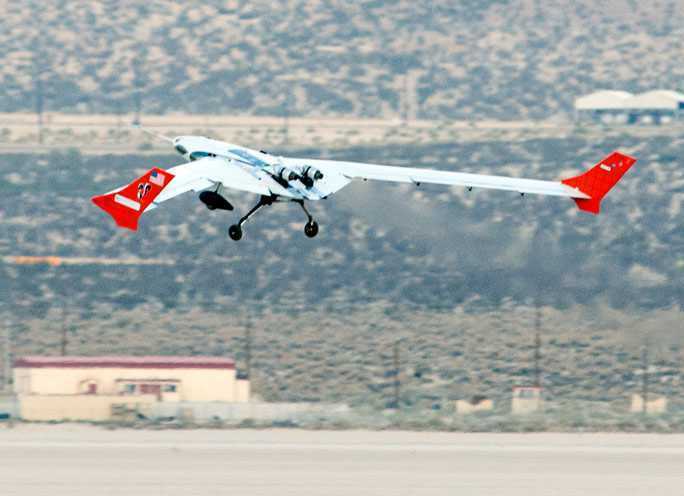 The first flight of the X-56A Multi-Utility Technology Testbed, or MUTT, was successfully carried out on 26 July 2013 at the NASA Dryden Flight Research Center at Edwards AFB, California. The X-56 is a modular, unmanned flight research vehicle that will allow investigation of active aeroelastic control technologies such as active flutter suppression and gust load alleviation. During the flight, the X-56A was flown at low altitude for fourteen minutes while crews evaluated the aircraft's handling qualities at seventy knots. Landing handling qualities at sixty knots were also evaluated. The X-56 is designed to allow the testing of a wide range of advanced aerodynamic concepts and technologies. Following Air Force flight testing, the X-56 will be flown by NASA.